While GrowOp Farms (pictured) is one of the top pot producers in the state, experts say the industry is burdened with too much weed. Go to any weed store in Washington these days, and you're likely to leave a happy customer. Strains of seemingly all kinds stock the shelves. A gram sells for less than $10. Yet for those in the cannabis industry, the endless selection and continually dropping prices are emblematic of a serious problem. "There's too much weed," says Eric Skaar, general manager at Sativa Sisters. In Inlander interviews with farmers, retailers and industry experts, all agree on one thing: The state has grown too much cannabis and there aren't enough dispensaries to sell it. It's forced farmers, once eager to open up their own business, to sell their supply for pennies on the dollar. "I hear from so many [farmers] every day who have a great product, at a great price, and I can't buy it," Skaar says. Eventually, he fears, growers will start cutting corners to save costs, using pesticides, for instance, just to compete. State regulators, meanwhile, fear other consequences of oversupply. 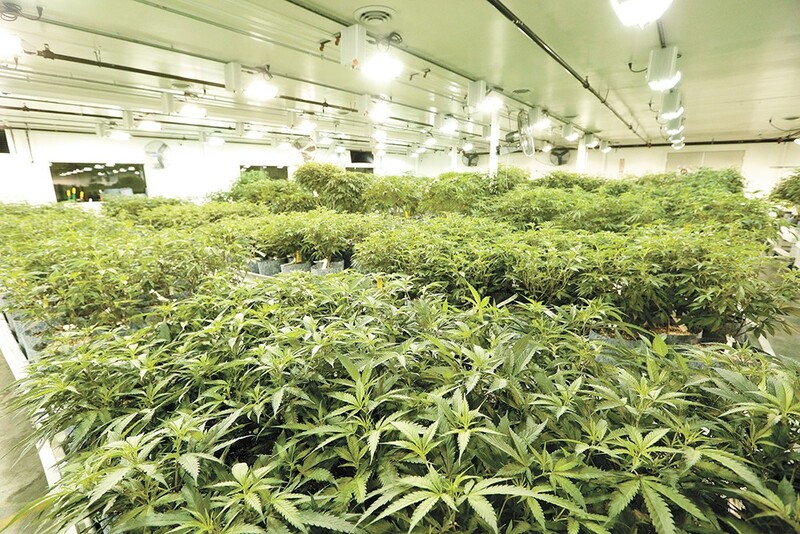 The Washington State Liquor and Cannabis Board (LCB) hired a consultant to study what the supply and demand of cannabis looks like, and what might be the driving forces behind overproduction. They've also sent a team out to measure how much weed is actually being grown in Washington. Because with an oversupply, there's a chance farmers, trying to salvage their crop, might turn to the black market. Avoiding that scenario remains critical in the effort to keep the "feds off our back," said Russ Hauge, a board member for the LCB, during a board meeting months ago. "What we want to try to do is get a handle on it before it's a crisis situation," Hauge said. Before any licenses were issued to grow or sell weed in Washington, the LCB sought input from stakeholders. Crystal Oliver says the system favors larger weed farms over smaller ones like hers. "What they heard repeatedly was, 'Let everybody participate. You have to limit retailers, but don't limit producers and processors who enter into the system. Let everyone enter the system and let the market sort itself out,'" says LCB spokesman Mikhail Carpenter. Essentially, that's what they did. They've issued around 1,500 licenses for producers, processors or a combination. Each license imposes a limit to a farm's grow area, or its "canopy," depending on what kind of license was applied for. Meanwhile, there are fewer than 500 retailers operating. Yet, of those producers and processors, the state expected around half to go out of business. That didn't happen. Instead, just 73 ceased operations to date, according to data provided by the LCB. The rest — nearly 1,400 — are presumably still operating businesses competing to get their product in stores, or they've sold their license to another business looking to expand its canopy. But the combined canopy of all the farmers statewide may be too large, leading to oversupply. The state tracks marijuana production and sales, but — unlike Oregon — it doesn't track the marijuana actually consumed, measured in pounds. Not knowing how many pounds are consumed compared to the pounds produced makes it harder to tell the extent of overproduction. The LCB is waiting for a consultant's report before conceding there is an oversupply, Carpenter says. Among farmers, retailers and industry experts, however, there's little debate. James MacRae, who owns a cannabis research firm called Straight Line Analytics, studied state data last year. He found that sales were not keeping up with the amount of cannabis being planted. In 2017, there was a 63 percent increase in the number of plants started compared to 2016, continuing an upward trend since legalization. Retail volumes, taking into account price decline, were up less than 20 percent. "Based on those facts, I would say there is an oversupply in Washington," MacRae says, though he says that's only because there aren't enough retail stores. He notes that roughly half the farms licensed by the LCB haven't reported any sales numbers for the first six months of 2018, according to LCB data. Assuming the farms not making any money are still producing cannabis, that can mean one of three things, MacRae says: The farms are either destroying the plants, sitting on growing inventory or selling it, possibly on the black market. And those options aren't good for anyone. MJ Productions is a small, indoor marijuana garden in Spokane Valley. Since the day Washington first gave out licenses for growers, owner Denali Mitmoen says his business has been able to get by because he's cultivated strong relationships with local retailers. But he's seen other farms his size struggle. They find themselves stuck in a situation where they don't know how to get rid of all the weed they've grown. "They have to sell it for whatever they can get for it," Mitmoen says. Retail stores, however, are stocked. They don't need it. In an effort to salvage costs, farms will then "liquidate" their supply for "pennies on the dollar," Mitmoen says. Stores are then able to make a higher profit. "And then my orders go down," Mitmoen says. When the state first legalized marijuana, Mitmoen says the state went out of its way to make sure small businesses like his had a shot. Since then, however, the bigger farms have started to dominate the market. 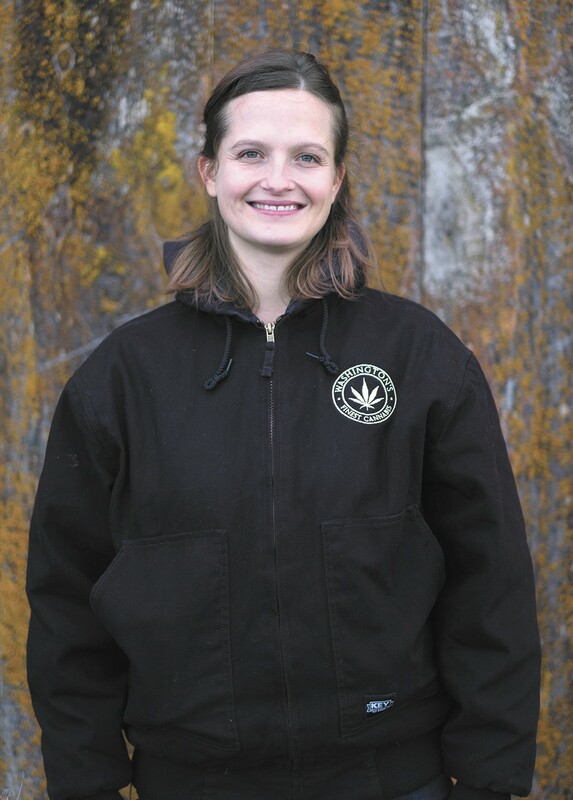 Crystal Oliver, executive board member of the Cannabis Farmers Council, says the state has made it hard on smaller farms. The way the state allowed businesses to have up to three producer licenses, for example, only let the larger operations expand. And it doesn't help the oversupply issue, which she says turns into a "race to the bottom," pressuring small farmers to grow poorer quality cannabis. What would help the market and small farmers, she argues, is the ability to sell cannabis directly from the farm, without having to go through a retail store. Being able to sell out of state would help, too, she says. While some farmers, like Mitmoen, are optimistic that dropping weed prices will begin to level out, Oliver doesn't think the market will take care of itself the way it's set up now. "When we talk about oversupply," Oliver says, "it's the system, the way it was designed, and the retail bottleneck we have in place." Brooke Davies, director of operations for nonprofit Cannabis Organization of Retail Establishments, says consumers benefit from small farms being able to thrive. When marijuana was legalized, it was modeled after the craft beer industry. "Because the price of a gram is dropping so much, the bigger farms can sustain that, but the small ones can't," she says. "We want to protect small business, and protect consumer choice so you don't only see one or two brands." "Even if entirely accidental," the report says, "[it] might make the federal government less tolerant of allowing the state's experiment to proceed." That's why, this year, the LCB sent a team to measure how much farmers are growing compared to what they're licensed to grow. That may result in increasing or decreasing canopy sizes. But the LCB's efforts to understand how much weed was being grown is a process that could have been helpful starting day one of legalization, says Skaar, with Sativa Sisters. Still, Skaar understands why there may have been mistakes. The original print version of this article was headlined "Overgrown"